Annie Bell never expected to get as lucky as the day she was made head chef of Riversong, the hottest restaurant to hit her quaint Oregon town. What starts as a quiet gig, quickly grows as Annie’s reputation soars to new heights and she becomes known as one of the best chefs in the Pacific Northwest. But the publicity brings unwanted attention. One day she receives a threatening phone call from her abusive ex-boyfriend, Marco. Learning he is out on parole breeds terror in Annie. Even more disturbing is the realization that Marco is hungry for revenge, blaming her for his ten-year imprisonment. Fearing for her life and that of her young son, Annie reluctantly accepts help from Drake Webber, a handsome and wealthy recluse who hides a dark history of his own. 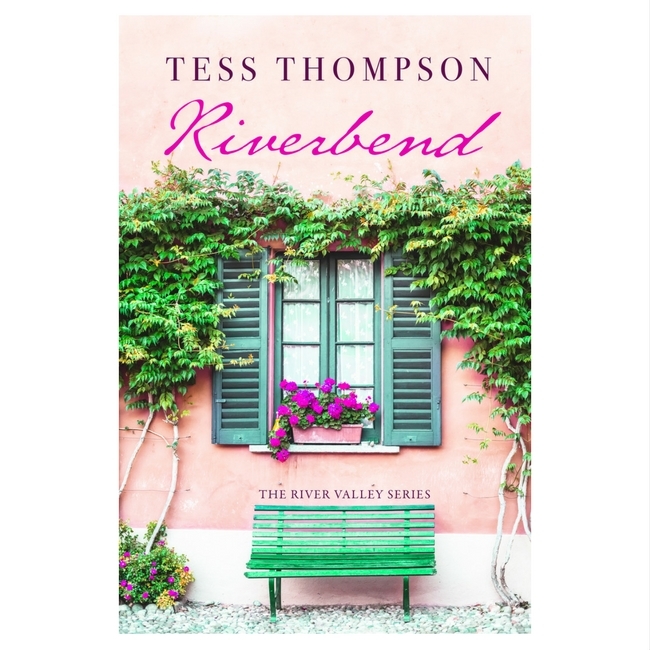 Author Tess Thompson reunites the colorful cast of endearing characters from her bestselling novel, Riversong, and takes readers on a journey of faith, friendship and ultimately, love. This is a story that proves through the power of community, we can overcome insurmountable grief and stand strong. Riverbend is a reader’s escape blending love, laughter, friendship, suspense and gourmet food while reminding that it’s never too late for second chances. She receives a threatening phone call from her abusive ex-boyfriend and learns he is out on parole and hell bent on revenge, blaming Annie for his ten-year imprisonment. Fearing for her life and that of her young son, Annie reluctantly accepts help from Drake Webber, a handsome and wealthy recluse who hides a dark history of his own.